Hey Escape City Fans! Great news is just around the corner that our next escape room will be opening soon. With such great feedback on Body Collectors, we are sure this next escape room will not be a disappointment. We are also excited to announce the opening of our Private Room or VIP Room which can be reserved to host your party needs. Whichever style party you desire, we can accommodate. From Bachelor/Bachelorette parties to birthday parties to team building corporate events! Our new Private Room will be the perfect fit to make your event the “Event of the year”. Picture this; Canadian pirates have seized an old cargo ship that you are aboard. You and your friends or family are on a voyage across the Mighty Niagara River. After the pirates have stolen all the goods, they abandoned ship and send you barreling towards Niagara Falls. What’s your mission? GET OFF THE BOAT AS FAST AS POSSIBLE. You have exactly 60 minutes to escape this boat before you go OVER THE FALLS. From boiler rooms to captain quarters, we have truly ramped up our production on this room and as mentioned before, you will not be let down. This highly detailed ship will be a completely immersive experience. Over the Falls is set to open mid-July of 2017. Our spacious private room is the perfect venue and upon request, we can provide local catering options. What’s even more nice is that the room automatically comes with a host/hostess to help make your party go smooth. The host/hostess will serve food and drink, and also clean up at the end of the party. All you need to do is show up and have a great time, leave the work up to us! We specialize in team building, large parties, and event planning so your party is in great hands. This room can be booked by contacting us via email: info[at]escapecitybuffalo.com or by calling 716-389-2634. We recommend at least 1 week notice to accommodate any parties to make sure planning and ordering go smooth. We also recently had a large conference in Niagara Falls called “Transworld Room Escape Conference”. A lot of the owners from other escape rooms around the states visited. Our friends from another escape room came to check out our Body Collectors escape game during that week they were in town. They could not believe how intense, immersive, and fully detailed experience they had. Only about 1 hour since they left, the rest of our reservations for the week were booked up. Phone call after phone call, more groups from the tradeshow started to book. Group in, group out. . . they all said the same thing; “Wow, that was the best escape room we have ever done”. So, if you didn’t catch our last blog post and aren’t quite sure what an escape room is. An escape room is a physical adventure game in which players solve a series of puzzles using clues, hints and strategy to complete the objectives at hand. It is a fully immersive, 3 dimensional, multi-sensory form of entertainment. You will have to rely on your own skills, instincts, and intellect to get out of a “locked” room. Each room is fully wired for sound and video so you’re never alone. Your price of admission gives you access to the themed room of your choice. Players can attempt to escape the room with family, friends, or co-workers. Teams are given a set time limit to unveil the secret plot which is hidden within the rooms. Escape rooms are inspired by “escape-the-room”– style video games. 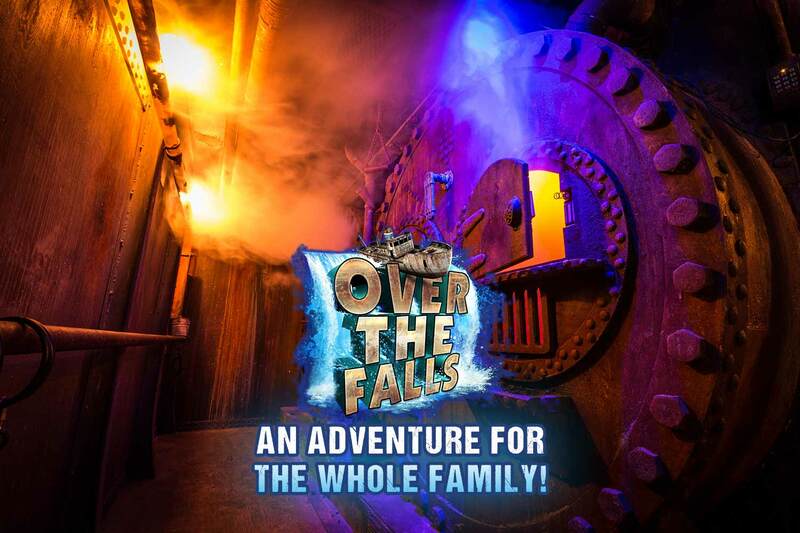 In closing, we hope to see you at the opening of our next escape game Over the Falls. It will be a truly unforgettable adventure with friends, family, or coworkers!